In Cincinnati, residents of low-income communities die 20 years before residents of wealthier neighborhoods. Learn how carbon emmissions and global warming affect all of us. 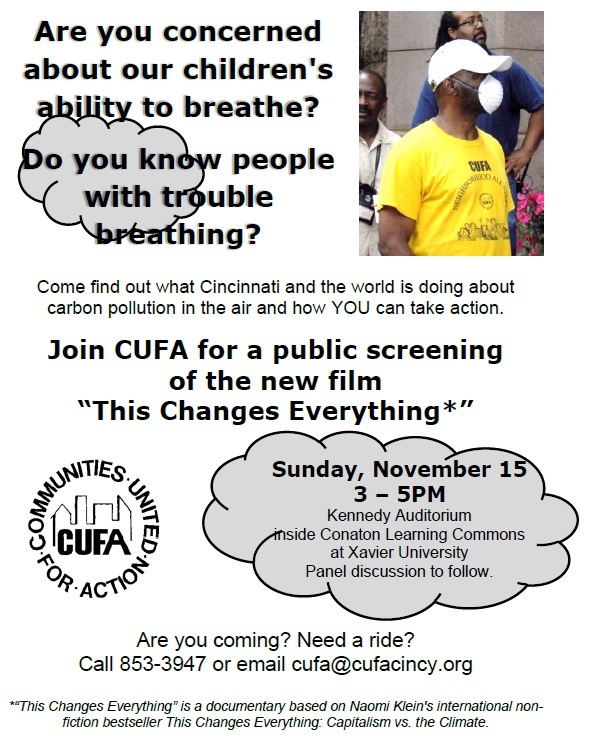 Join members of Communities United For Action, the Xavier University facults, and the Cincinnati Health Department for a panel discussion after the movie.